My Summary: Conor is a thirteen-year-old boy doing his best to deal with life in the wake of his mother's illness. Conor puts on a brave face for his mother, he helps her when she's weak and sick from her chemo treatments and he's self-reliant in her absence. He silently deals with bullying and the feelings of becoming unnoticed since his peers and school found out about his mom. He also suffers from a recurring nightmare that wakes him every night at the same time. Then one night a great, monstrous Yew Tree comes walking and shows up at his bedroom window. Connor should be afraid of the come-to-life tree but with everything going on in his life, he's more miffed than anything else. Especially when the Yew Tree tells him his reason for being there is to tell Conor three stories and then for Conor to tell the fourth (his own story) and that will be the truth. Seems simple enough, but the truth for Conor is admitting something that he's absolutely terrified of and hasn't even come to terms with himself. The Yew Tree's arrival signifies a change in Conor. One that he's not ready for but has to live through, otherwise he will never be able to face what is to come. 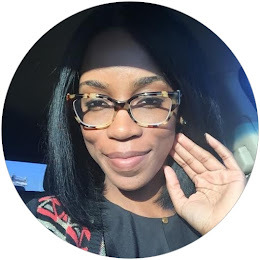 On the Book: I spent my time listening to this book being simultaneously awed, amazed and heartbroken. 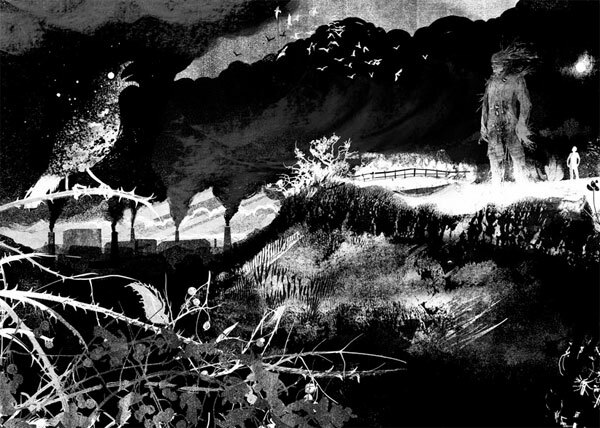 It has been a while since I've been moved to tears over a story, A Monster Calls changed that. I listened to this audio telling each night before bed with tissues near by, just in case, and I used them. Oh, did I use them. The story is simple, yet beautifully told. The effects of Conor's mother's illness are many, and though it is not said what form of cancer she is suffering from, the reader can glean that it is aggressive and has taken a great toll on, not only her but Conor and his Grandmother as well. The presence of the Yew Tree is so much more than what I thought it would be. It's not just there to tell Conor "once upon a time" stories. There are lessons to be learned in his retelling's. Lessons that Conor may not want to hear, but will come to understand in time. 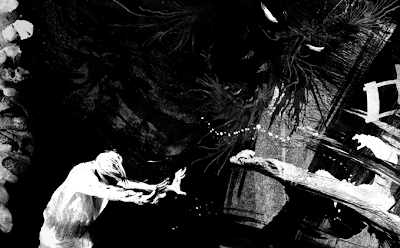 The horrific story of a monster I thought this story would be about, it wasn't, not in the literal sense, anyway. What it turned out to be was so much more, though. A Monster Calls was inspired by a premise from author Siobhan Dowd, who died of breast cancer short of seeing it into fruition. With Dowd's notes about the story, Patrick Ness wrote A Monster Calls. Talk about inspiration! 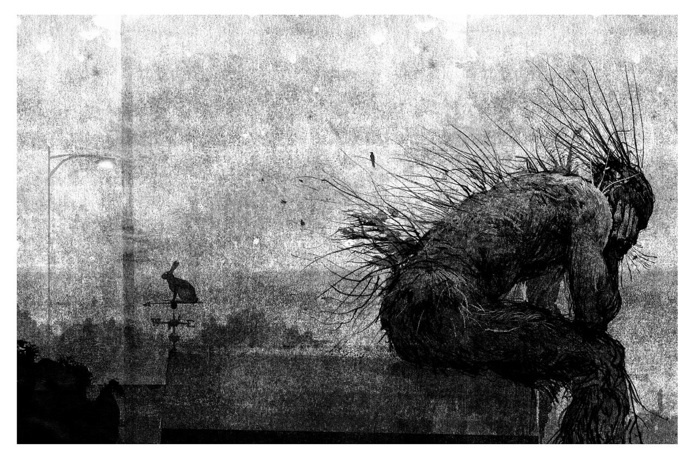 On the narration: Jason Isaacs does a wonderful job narrating A Monster Calls. He conveyed all of the characters brilliantly, and his take on the gravelly Yew Tree was excellent. Gritty, hearty, full of emotion - he was the perfect narrator for this story. Bravo! 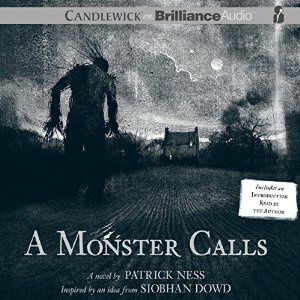 The narration concludes with a 10 minute interview of Patrick Ness where narrator, Jason Isaacs is the interviewer. I loved this bit, as it gave a lot of insight to the story and the inspiration behind it. Something of note, Ness remarked that he hopes that the best of both of he and Siobhan Dowd are found in the reading of this book. While I'm not familiar with Dowd's work, the story was beautifully told. I'm sure any author would be proud to see their work presented in such a way. 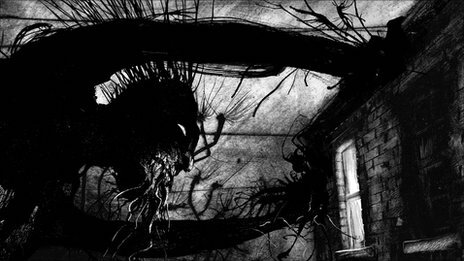 Notes: A Monster Calls deals with a hard subject matter for children with great care. The subject of cancer is simplified enough for a reader 12 and up to understand. The gravity of the Conor's situation will not be lost on them, though I think this book gains an overall better appreciation with age. Final Thoughts: If you haven't read this, please don't hesitate to do so. It is a must read, in my humble opinion. 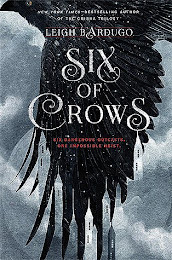 I plan on getting the hard cover of this book for the illustrations - which are amazing - and also because it's that good that I must have both. 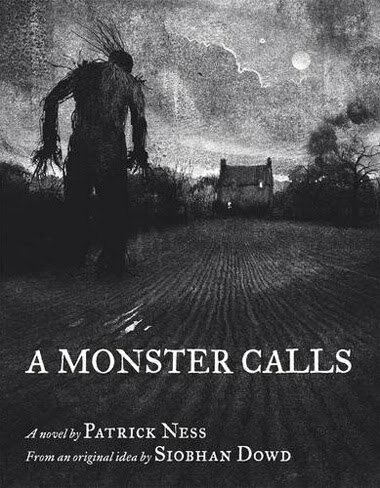 Visit author Patrick Ness here. *Illustrations are from illustrator's Jim Kay's website. The last illustration was found here. Wow Brie! This is a gorgeous review for what looks like a very interesting children's book. 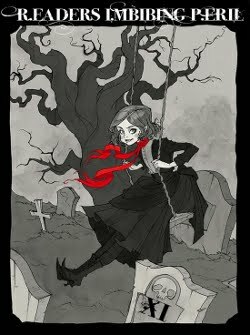 I love, love the illustrations. 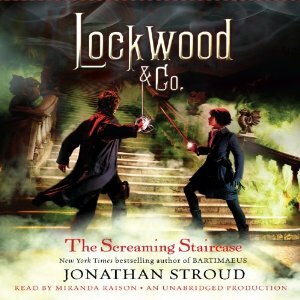 I'm not much for audio books (I've only ever listened to one), so it's wonderful to you so excited over this one. It must really be extraordinary. Hi Hils! Thank you, this book is oh-so good. The illustrations are amazing and go perfectly with the tone of the story. Audio books are an acquired taste, I think. I didn't always like them but I have found a love for them through my girls, who love to listen to stories on long drives in the car. I'm very particular on them though. I only get ones with great narrators and excellent reviews because a boring narration is the kiss of death for any audio book. I also find that children's books are better narrated and enhanced more by audio than adult ones. I have heard FANTASTIC things about this book. It's been on my queue for ages. Will read it, I promise. Amazing artwork. Can't believe I'm just seeing your comment, Christine! This book is so good. It is definitely a must read. No problem! I'm going to try to read this during the RIP challenge between now and Halloween. Did I see you joined that challenge, too, or was that a different Brie? It's hosted by Carl at Stainless Steel Droppings.